TORONTO — Ontario Premier Doug Ford will travel to Washington this week for an update on NAFTA talks. Ford and Economic Development Minister Jim Wilson will meet Wednesday with federal officials carrying out trade negotiations in the U.S. capital, and also plan to meet with the Canadian Ambassador to the United States. The premier says in a statement that he plans to stress the need to protect Ontario workers in the steel, automotive, and agricultural sectors. Ford has previously said he supports federal efforts to renegotiate the trade deal with the United States and Mexico. Shortly after winning the spring election, Ford met with Foreign Affairs Minister Chrystia Freeland and Canada's ambassador to the United States, pledging his help in trade matters. Earlier this summer, Wilson travelled to Washington to testify before a U.S. Department of Commerce hearing on NAFTA, calling for balanced and fair trade between the two countries. 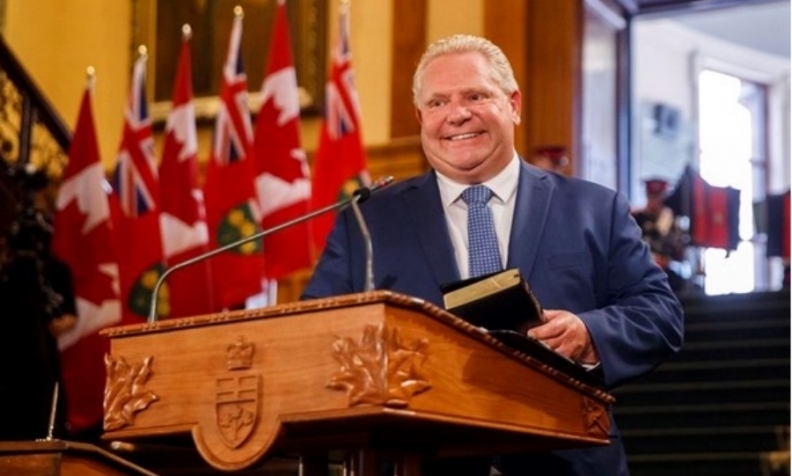 "We will continue to do our part to protect Ontario workers in the automotive, steel and agricultural sectors," Ford said in his statement Monday. "We expect our federal counterparts to do the same."